I fell in love with this quilted tag die from Reverse Confetti. I really do have a lot of ideas for it – I hope you don’t get tired of seeing it! I cut my sky & snow paper with the hillside die, then glued them both onto a piece of scrap paper, to be cut with the quilted tag die. How are you doing on your holiday tasks? I am WOEFULLY behind. Ugh. When am I really going to learn to make my own holiday cards in July??? Supplies: Stamp – Newton’s Nook, paper – Neenah Classic Crest Solar White, Shine Pearl, Stardream Metallic Aquamarine, Silver, inks – Copic E33, E53, R20, R29, 100, VersaFine Onyx Black, dies – Impression Obsession (snowflakes), Lawn Fawn (stitched hillside), Newton’s Nook (dog), Reverse Confetti (quilted tag), embossing powder – Filigree Fine Art Powder clear, twine – MarkerPOP. 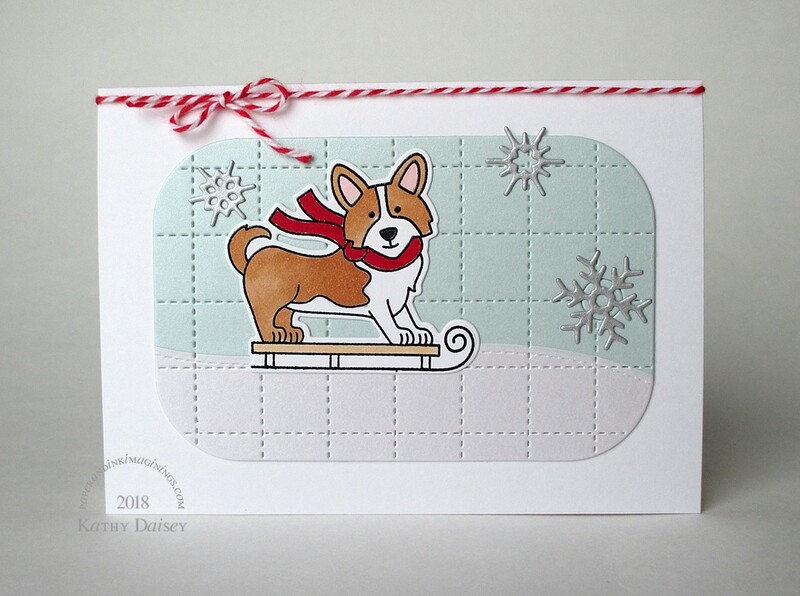 Categories: card, holiday, note | Tags: card, Copics, Impression Obsession, Lawn Fawn, MarkerPOP, Neenah, Newton's Nook, Reverse Confetti, Shine, Stardream, Tsukineko, VersaFine | Permalink. Jenny, the pressure usually does make me super efficient that last week before Christmas. I finished a project just this morning that had me blocked. I still have not started my holiday cards! I had made a few but not enough…. yet!